That's quite a buxom crow there. Looks like it was a chilly but scenic visit. 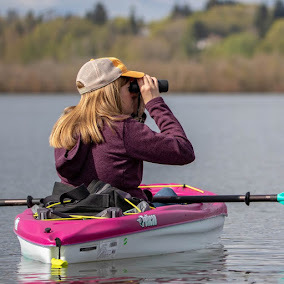 It's fun to read about Varied Thrushes and Red-Breasted Sapsuckers as common sightings. They're such jaw-dropping rarities in AZ. Who's the polite seeming bronze man? I was trying to figure out the bronze man.. He's not a particular person, just some kind of general ambassador for the park. Love your new header photo, that is hilarious!!! The snow is beautiful, especially combined with the flowers! 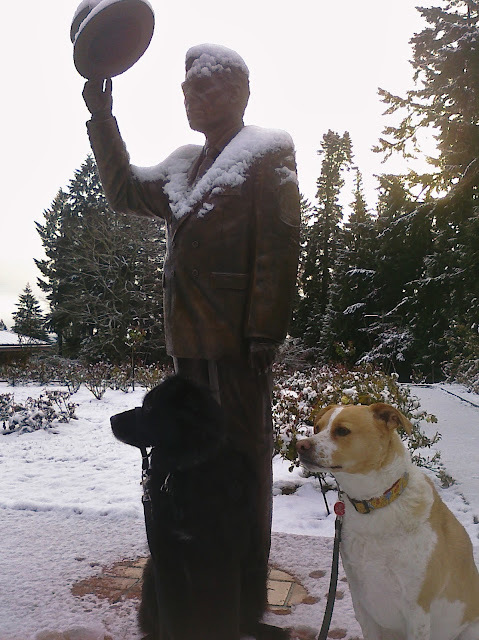 The dogs look so serious, posing next to the statue. snow...HOLY MOE! !I love that shot of your boys with that statue...SO FUNNY. Very nice collage of the flowers n snow...HOPE you get a sunny day next!! Hi Jn! The snow does look pretty. We have been having almost summer temps here in the Mid-Atlantic. And I will not complain. I love the shot of your dogs and the statue, they are posing so nicely for you. The mosaic looks wonderful with the flowers and snow. I hope you have a great weekend and happy birding. It's more wintery on the east coast now, too. 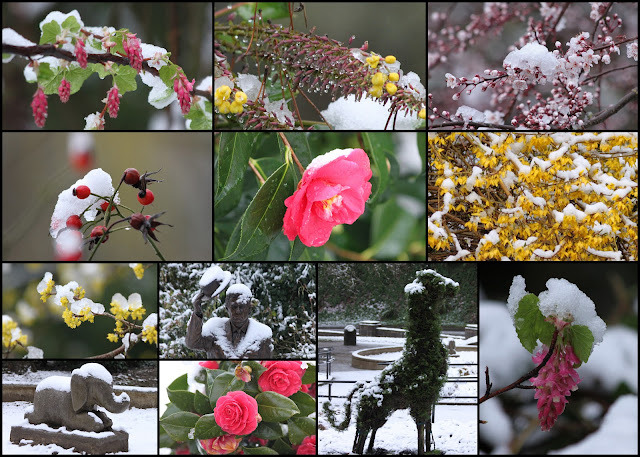 I love the collage of snow-covered flowers-- beautiful!